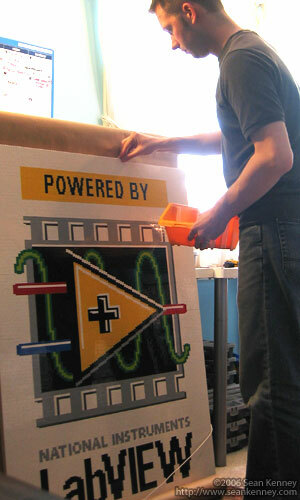 This studs-up mosaic of the National Insturments LabVIEW logo is 10 square feet and contains over 6,000 LEGO elements. It took about a week to design, build, and glue. 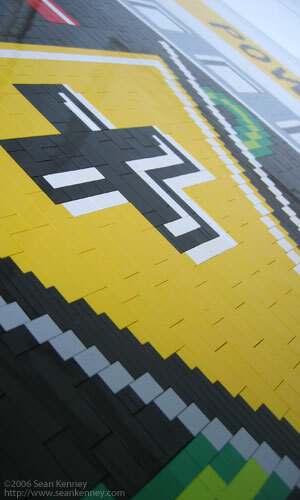 The mosaic was designed by hand, drawing each LEGO brick one-by-one over the course of about a day and a half. 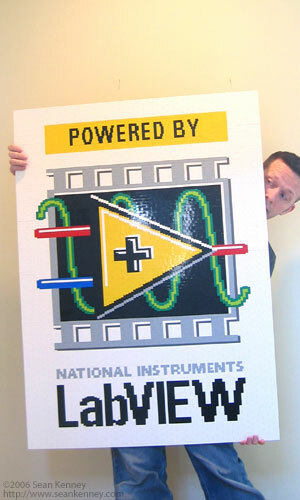 The trickiest part was creating the tiny LEGO lettering for "National Instruments" in a way that best resembled the NI logo. 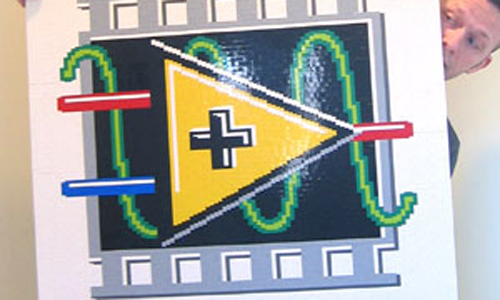 In the photo below, you can see several places where LEGO bricks are turned sideways or upright to get just the right feel. The rest of the model was created using standard studs-up construction with basic LEGO bricks and plates. 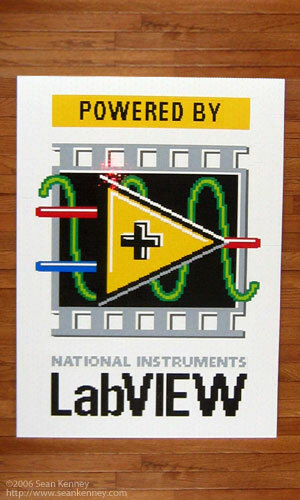 This model was built and presented to National Instruments in May 2006 as a thank-you gift for work on the new LabVIEW-based LEGO MINDSTORMS NXT software product, developed through a partnership between LEGO and National Instruments.